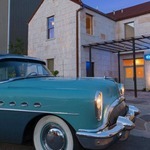 Austin in Texas had long been on our wish list of cities to visit, and proved to be everything we’d expected and more. From the grandeur of the State Capitol that opened in 1808 to the fashionable funkiness of the quirky shops on South Congress, where my wife treated herself to a pair of Texas cowgirl boots. We visited the gallery of an artist who works in neon, the Contemporary Art Museum, bought picks in a guitar shop, had great meals and were lucky enough to find the perfect place to stay: Lone Star Court. 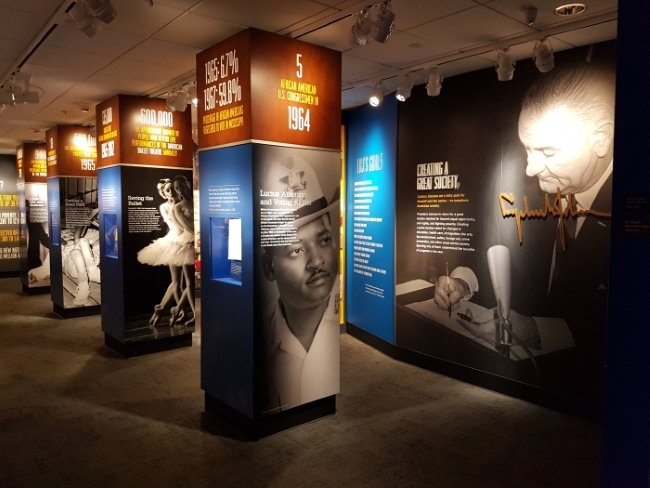 We then got totally absorbed in the fascinating political history contained in the Lyndon Baines Johnson Presidential Library and Museum. 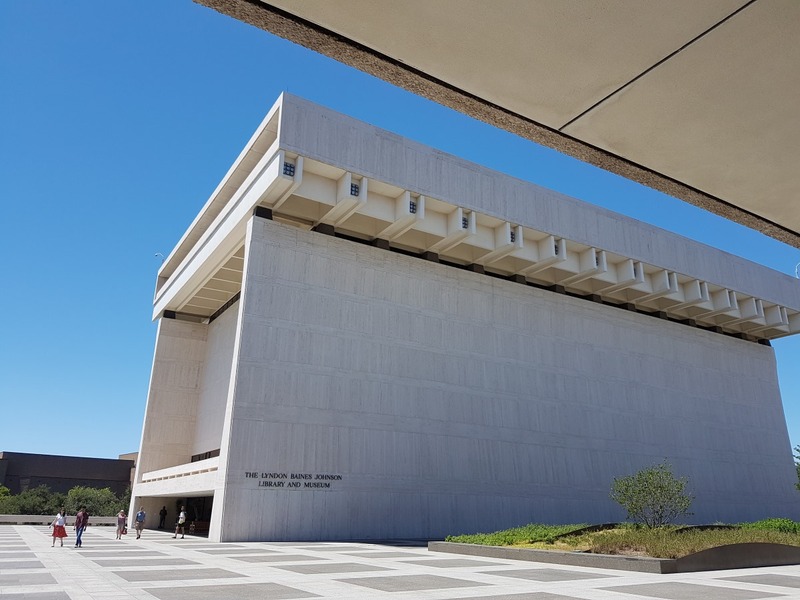 I used to imagine that presidential libraries would be dull as ditchwater, but having previously visited Gerald Ford’s and George Bush Senior’s libraries, I knew that LBJ’s would be a riveting journey through the turbulent American history of the 1950s and 1960s. 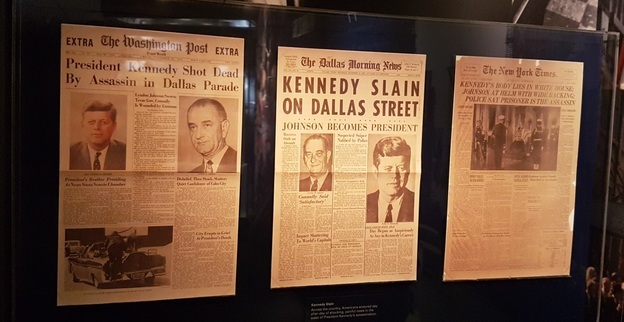 Lyndon Baines Johnson was Vice President when Kennedy was assassinated in November 1963, and so found himself leading the country during the stormy years of the Vietnam War and the civil rights movement. He was President when Robert F. Kennedy was shot and when Martin Luther King Jnr was shot, and stayed President till he lost the 1968 election to Richard Nixon. Before he entered politics Johnson trained as a teacher, and a photo shows him with his class of Mexican-American children at a segregated school in 1928-29. His love of the children, and theirs for him, shines out through their faces, and the experience had a profound impact on him and on his politics. One of his legacies was his brave championing of the Civil Rights Act of 1964. He took a principled stand and observed that by pushing through the act he would forever lose the south for the Democrats, but it was still the right thing to do. A map of Texas shows how it voted before the passing of the act, and it was overwhelmingly Democrat. Today it is still overwhelmingly Republican. The museum isn’t just a relentless recounting of political history. Far from it. In several places around the spacious and elegant building, which spreads over several floors, are banks of telephones. You can pick up a receiver and choose from dozens of recorded phone conversations, so you can hear the actual phone calls made between LBJ and prominent figures, including Martin Luther King Jnr. To listen in is to get a feel for LBJ’s hectoring political style. It’s very funny, unless you happen to be on the receiving end, of course. 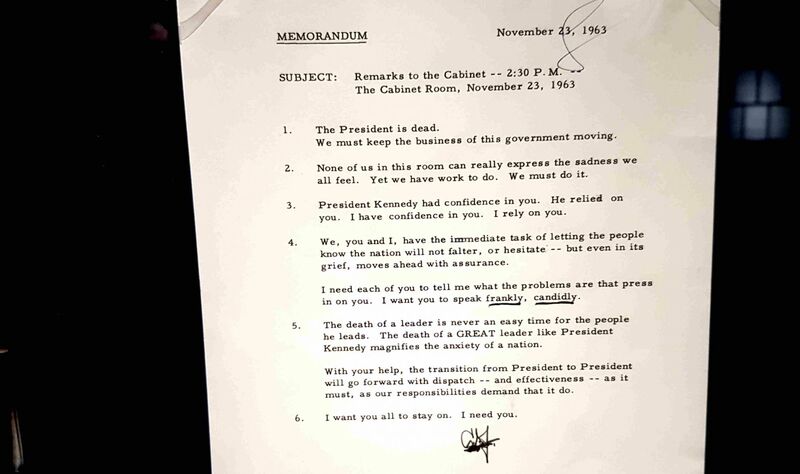 In one conversation a poor politician is being badgered by LBJ to be on a committee he doesn’t want to be on. Johnson brushes aside every excuse and tells the man relentlessly that he is going to be on that committee. It culminates in Johnson telling the man: ‘Godamn it, I already told the press you’re going to be on that commission. You gotta be on it.’ The man gives in. And there’s lots more to laugh at too. 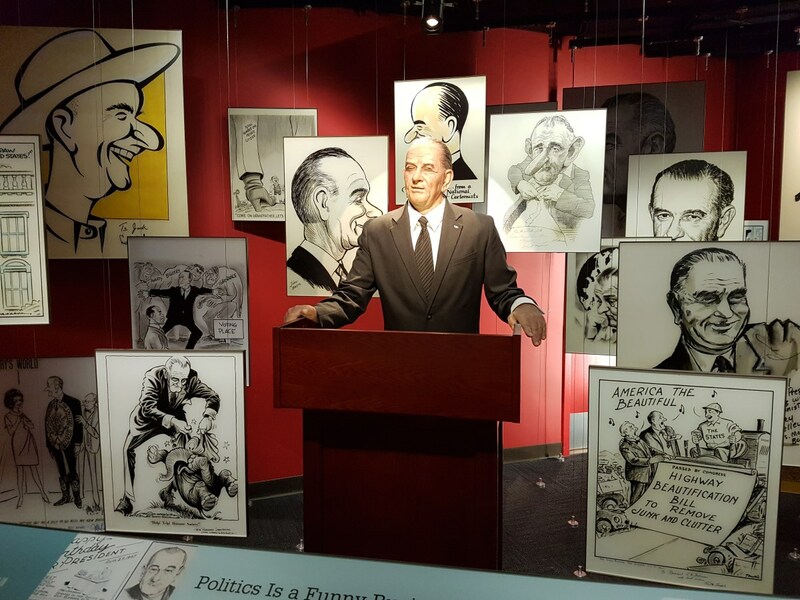 A Disney-style animatronics figure shows LBJ telling jokes, as he was one of those rare things: a politician who could actually tell a joke. We talk to one of the museum guides, who tells us that LBJ had a small apartment above the museum so he had somewhere to stay when he visited. One of his favourite tricks was to sneak into the replica Oval Office and sit motionless at the desk, when he knew a school group was coming round, then suddenly move and scare the daylights out of them. How could you not warm to a man like that? All images (c) Mike Gerrard. The LBJ Library is open daily, 9am-5pm. Admission costs $10 for adults, with children 12 and under free. 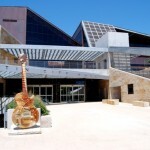 For information on other things to do in Austin, see the official Visit Austin website. Mike stayed at Lone Star Court in Austin. There are direct flights from London Heathrow to the Austin–Bergstrom International Airport with British Airways. Fly-drive holidays in Texas are available through Trailfinders. Weekend in Austin. Just what you unexpected. 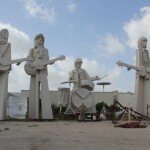 David Adickes Giant Statues in Houston.